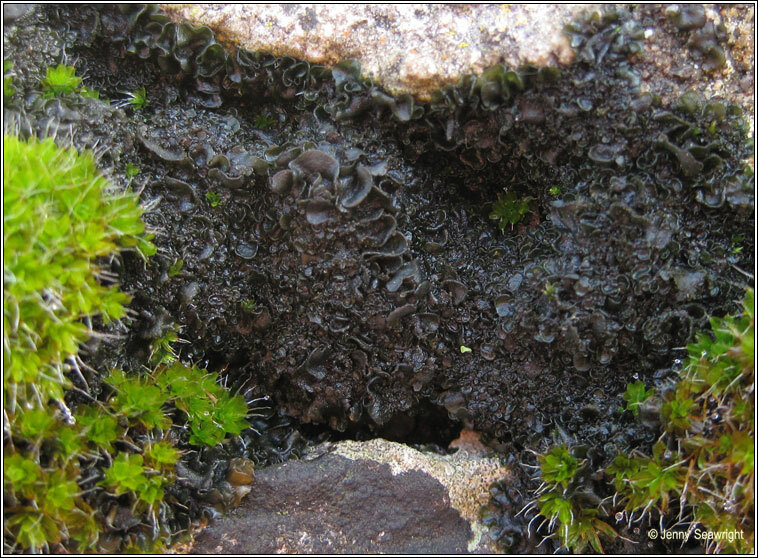 Common on damp, shady calcareous rocks, walls and crumbling mortar, less frequent on shell sand and soil. 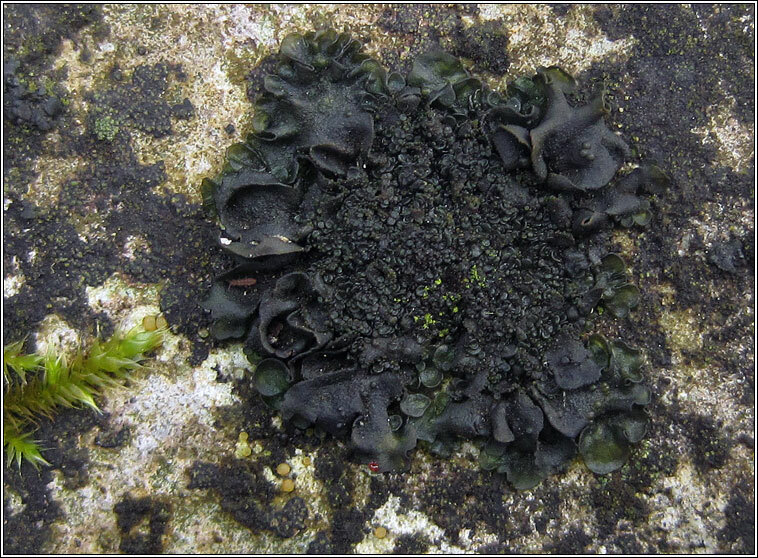 Thin green-brown to blackish overlapping lobes, the margins +/- ascending, wavy, entire or crenate. Lobes only slightly swollen when wet. Globular isidia become flattened and squamulose and resemble small lobes. 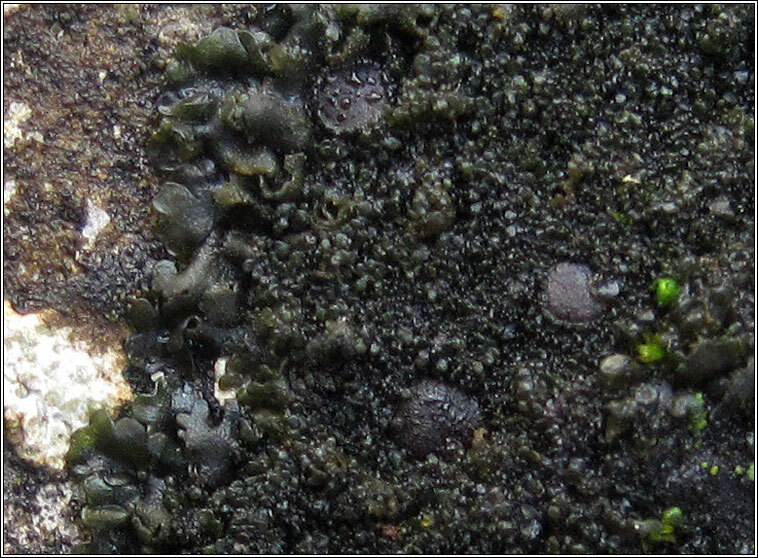 Apothecia are infrequent, flat and often with lobules on the margins. 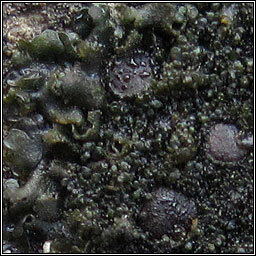 Thallus can be tinged emerald-green when wet or in shaded habitats.